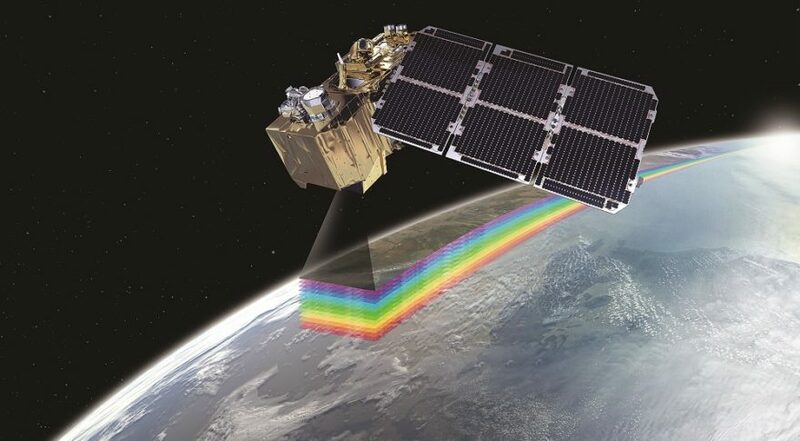 BERLIN — The European Commission allocated another 96 million euros ($109 million) for the European Space Agency to spend on the Copernicus Earth-observation program in the next two years. The agreement was announced this week during the Conference on European Space Policy in Brussels, Belgium. Similar to NASA’s Landsat program, Copernicus provides Earth-observation data for free. Copernicus’ Sentinel satellites monitor weather, land use, air quality, agriculture, and other environmental factors that can be used in a variety of sectors, from urban planning to climate change mitigation. Copernicus is an EU program, and its space component is managed by ESA, a separate intergovernmental agency. The additional funding will go toward new tasks ESA is taking on, including developing the Sentinel-6 mission and the new European Copernicus Data Access and Information Services, according to the statement from ESA. The original agreement for Copernicus’ budget was signed in 2014. According to ESA, the new amendment now brings the total budget for the Copernicus space component for the 2014-2021 timeframe to 3.24 billion euros. “Resources so far were commensurate,” Giuseppe Morsillo, secretary-general of the ASD-Eurospace trade association, told SpaceNews. He added that industry welcomes the overall 16-billion-euros budget for space capabilities that was proposed by the European Commission in 2018 for the 2021-2027 period, “but had — and still has — in mind for Copernicus 7 billion euros in its corresponding estimated needs.” The budget proposed last year for Copernicus was 5.8 billion euros. “We hope an increase for Copernicus may still take place in [the] next steps,” Morsillo said.